Since the firm’s inception in 1956, D’Appolonia has undertaken research and development projects with the goal of advancing the state-of-practice within the firm and industry. Since then D’Appolonia has developed design manuals, manuals of practice and specifications for the design and construction of structures for use by government agencies and industry. D'Appolonia prepared the original Engineering and Design Manual for Coal Refuse Disposal Facilities in 1975 and recently was awarded a contract by the Mine Safety and Health Administration (MSHA) to update this manual consistent with current practice in the mining industry. D’Appolonia has developed design manuals, manuals of practice and specifications for the design and construction of structures for use by government agencies and industry. 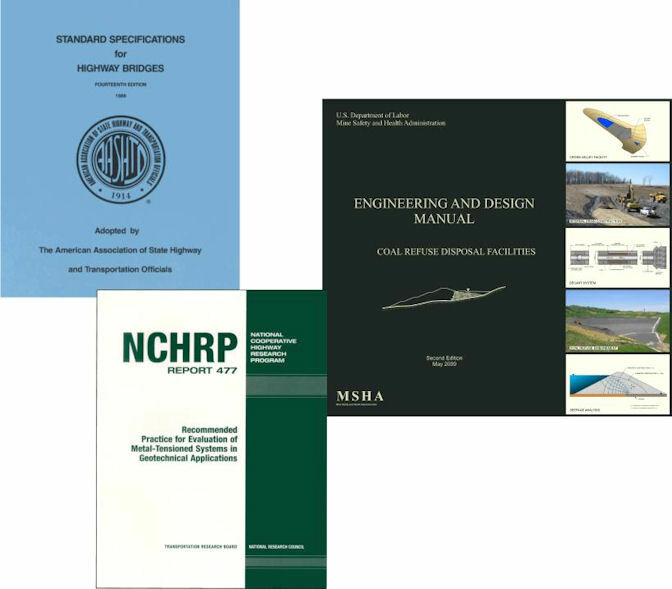 D’Appolonia working under a National Cooperative Highway Research (NCHR) grant was responsible for a study to revise the American Association of State Highway and Transportation Officials (AASHTO) standard specifications for the design of foundations, retaining walls and bridge substructures. Topics addressed by the study included spread footing, driven pile and drilled shaft foundations; gravity, semi-gravity, cantilevered and anchored retaining walls and MSE and modular wall systems; and piers and abutments.